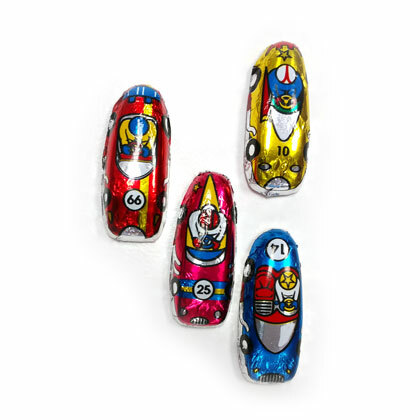 Solid milk chocolate wrapped mini race cars. Approx. 2 inches long by .625 inches. Kosher Dairy. Made in USA. 6 oz bag. Approx. 3.25 cars per ounce. Each bag contains a random assortment of race car styles.